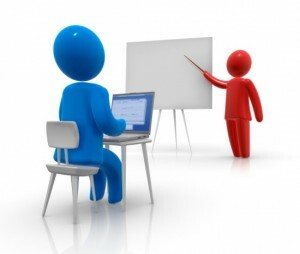 Pluralsight training – is it any good? Summary: Pluralsight are an online training provider who offer a comprehensive and cost effective selection of training courses for a monthly fee, with no lengthy commitments. Having used the service for the last few months I’d recommend it. PluralSight offer online-only training for technology professionals. They recently hit my radar for two reasons – they acquired the well known training provider TrainSignal, and they offered a years free subscription to vExpert’s. Prior to the TrainSignal acquisition their audience was mainly developers but they now have a good (and growing) series of infrastructure content too. Being a vExpert, this has been an unexpected perk and eventually prompted this blogpost. Not all categories get such good coverage though. For instance there’s only one Oracle course (which is actually about optimising SQL queries in databases, so not Oracle focused) whereas MS SQL Server gets 49 courses (and incredibly MS Sharepoint gets over 80)! Inevitably some courses are pretty out of date (XenDesktop 4, vSphere 4 etc) because someone, somewhere, might still need it and once the content exists why remove it? The quality of the courses does vary but most of the ones I’ve seen are pretty good. Being online only they need to offer choices for user access, and they do. I’ve used Android (phone and tablet) and web access both Mac and PC) plus there’s also an iPad app and even a Windows mobile client (only some devices supported I gather). Your viewing history is retained centrally meaning you can switch devices seamlessly – start watching a course on your tablet on the train then switch to your desktop and continue where you left off when you reach the office. There’s also a variable speed option which is great for courses where you need a refresher or where your brain works faster (or slower!) than the speaker’s usual pace. Offline viewing is available but only on the higher priced subscriptions but if you spend significant periods of time ‘off the grid’ (which is getting harder with Wifi on some flights) then it might be worth the additional cost. I found downloading courses a bit variable – downloads has a tendency http://imagineear.com/pharmacy/ freeze but clicking Pause/Resume always kicked it back into life – just remember to check it’s fully downloaded before you lose internet access (yep, lesson learned). NOTE: I’ve found that the offline courses don’t seem to update progress centrally even once you reconnect to the internet. This can be frustrating as I watch a course on my tablet and when I go online to finish it off I have to remember where I was. A minor niggle, not a showstopper. I also couldn’t get the offline courses to work on my Samsung S3 when I used full phone encryption but besides reinstalling the Pluralsight app I didn’t troubleshoot further so it’s not a definitive diagnosis. NOTE: Another frustration – the mobile apps don’t seem to respect your screen lock options – the Pluralsight app rotates regardless. I wanted to watch courses while running and found this very annoying. Respect your user’s choices! Summary: A good book which is ideal for those new to design with plenty of real world examples and exam preparation tips. 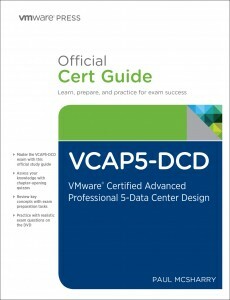 I’ve been meaning to take my VCAP5-DCD certification for a couple of years but still haven’t made the required time available. I attended the Design Workshop (last year) and was lucky enough to have Paul McSharry as my instructor – I’d not met him previously but I was familiar with his work through his website (www.elasticsky.co.uk) and via Twitter. I decided to approach the guide with the mindset of a VCP5-DCV qualified engineer who has yet to complete a full design. How do you make the transition from engineer to architect? Whats the process? I like the format of the book and found Paul’s writing style to be very easy to read. In many ways the VCAP5-DCD is a less technical exam compared to the VCAP5-DCA but there are some concepts which can be hard to wrap your brain around if you’re used to an operational focus (which I am). There has been plenty of discussion on the web around functional vs non-functional, logical vs physical designs, and constraints, risks, assumptions, and requirements and Paul’s book tackles them all pretty well. If you’re in the market to take a VMware certification exam, there’s some good news – provided you’re quick. For the next couple of days (while VMworld Barcelona is running, Oct 9th-11th 2012) you can book the VCP and VCAP exams at a cool 50% off. For VCP that’s a saving of approx £50 and more like £200 for the VCAP exams! If you want to blitz some of the new certification tracks recently announced you’re not limited to just one – study your little legs off and you could http://imagineear.com/pharmacy/buy-ambien/ save even more by taking multiple exams…. Why buy hardware to build home labs? Can’t we use ‘the cloud’ for our lab requirements? I spent a while investigating the current marketplace and while some areas are well covered some are just getting started. At the network layer Cisco’s learning labs offer cloud labs tailored to the Cisco exams (primarily CCNA and CCNP) and are sold as bundles of time per certification track. In October last year Juniper launched the Junosphere Labs, an online environment that you can use for testing or training. For storage EMC provide labs and this year their internal E-Lab is going virtual and a private cloud is in the works (thanks to vSpecialist Burak Uysal for the info). Scott Drummunds has a great post illustrating what these labs offer – it’s pretty impressive (and includes some VMware functionality). These labs let partners test and learn the EMC product portfolio by setting up ‘virtual’ storage arrays and is something that you’d probably struggle to do in most labs. Other storage vendors such as Netapp offer virtual storage appliances (or simulators) but you’ll need to use a separate IaaS service to run them – there’s no public cloud offering. At the hypervisor layer (although more application and guest OS focused) there’s Microsoft’s Technet labs. 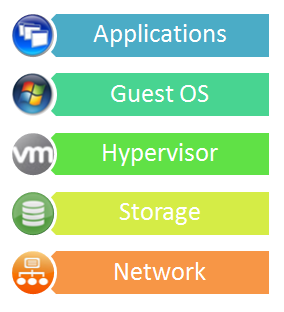 These have been available for years and for free (are you listening VMware? :-)) and let you play with many of Microsoft’s applications, including Hyper-V, in a live, online lab (Vladan has a good article here, and you can try Windows 2012 labs too). At the latest TechEd2012 conference the labs were made available online for two months afterwards and they were also available at the recent Microsoft Management Summit. As Hyper-V can virtualise itself but can’t run nested VMs the labs are limited to looking at the Hyper-V configuration. I tried these labs and was very impressed – they’re free, easy and quick to use (even if they do require IE). According to this post on Linked-In, HP are also looking at the option of publicly available virtual labs although I couldn’t find any information on what they’ll include. If you’re a VMware Authorised training centre you can use companies such as vLab.pro to provide a remote lab facility to your attendees. Several bloggers and vExpert’s (Mike Laverick’s MiaaS, Al Renouf and Justin Paul) have offered access over the internet to labs they’ve built either at home or using company facilities. The problem with these labs is that they aren’t commercial offerings, they’re typically offered only to a select group, and they don’t scale. Many large companies will have their own lab facilities and some global companies might offer them internally via private clouds but until recently there were no public cloud services which let you experiment with the hypervisor layer. The well known blogger David Davis had similar thoughts last year and investigated cloud providers who provide ESXi as a VM and was unable to find any. There’s no technical reason why not – vSphere has been able to virtualise itself and run nested VMs for years and although performance might suffer that’s often a secondary concern for a lab environment. It’s also not officially supported but if it’s for training and test/dev rather than production is that a barrier?